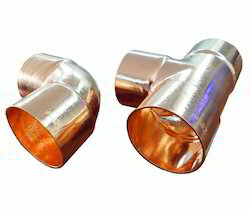 We are leading supplier of Copper fittings ACR. New Seas Alloys L.L.P are engaged in Copper Pipe Fitting. This Copper Pipe Fitting is available in various sizes and models which is highly appreciated by clients. "We are looking for buyers mainly from foreign country"